Is that on the way to Titusville? No. Lake Ellenor is literally blocks from dale Sr's house. 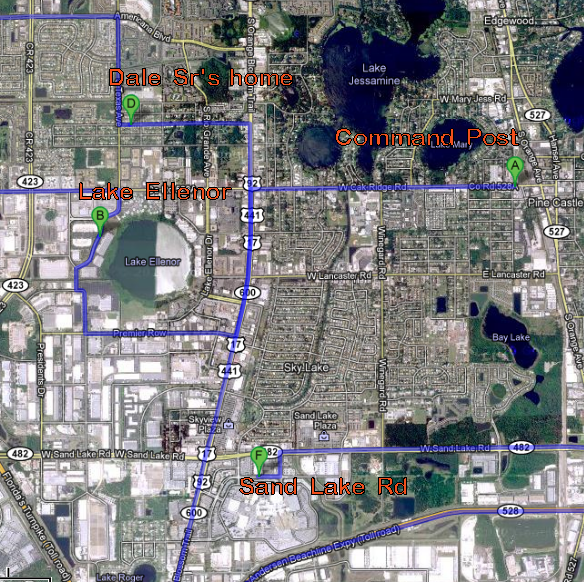 Titusville is east of Dale Jr's home, which is east of points on this map. Relatives of both Smith and Parker were in the courtroom. Parker's mother, Yvonne Stewart, broke into tears when 9th Circuit Judge Thomas W. Turner said, "We all pray for her safe return... We pray that she is alive." Carrie Hoeppner with the Department of Children and Families said the agency got involved with the case November 19 after it received calls on its abuse hotline alleging past domestic violence incidents between Smith and Parker. The children were interviewed on several occasions before the agency decided to take them into custody, Hoeppner said. Thanks! Wondering if he could go that way to get to work like he said he did. 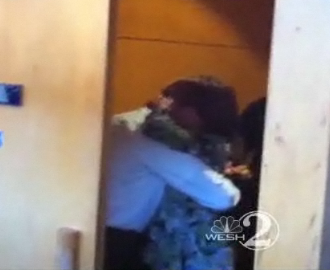 Yvonne Stewart and Dale Smith Jr hugging after hearing today. I guess she is keeping her enemies close? I'm off to change into my field producer clothes. @Gaard_Swanson will be anchoring from the #MichelleParker search scene at 5, 6 & 7. Chopper been getting fuel for almost an hour now. At 2:50...search site is 1 block away from where Dale works. 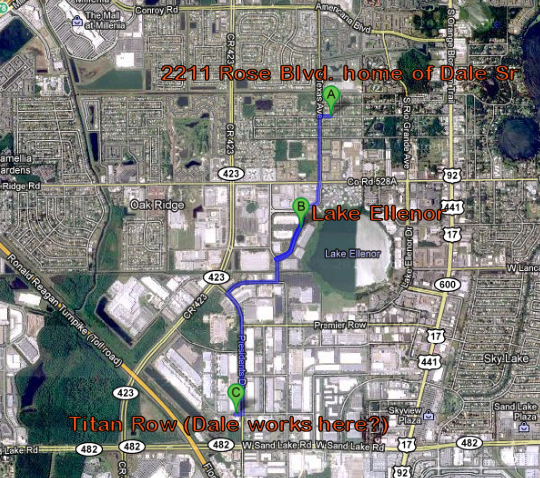 This reporter said Lake Ellenor is close to "where Dale Smith works on Titan Road." So there is some confusion there. Hope live chopper coverage resumes soon. 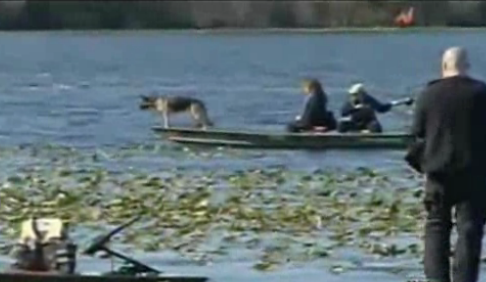 Video at this link show police finding something. NeJame said Smith has been falsely accused. He claims Smith left his home with the twins at the same time Parker left, and said he arrived at his parents' house an hour and 12 minutes later. "Get in your car and run that track and see if you can do it, and in between you've killed and gotten rid of, disposed of a body," said NeJame. WFTV made that drive two times Tuesday night and each time clocked the commute at 25 minutes. Titan Road.....could that be in lieu of Titusville?? MP's dad was mistaken???? Thank you Northern Rose! WOW! What a morning. What do you make of DS and YS hugging? I sure hope he allows MP's family visitation rights. Maybe she said, "Titan Row"
#DaleSmith back at his parent's home for a split second. A woman in another car had 2 little kids with her in the backseat. #MichelleParker. Page created in 6.101 seconds with 20 queries.